Very few things look as satisfying as neatly restored retro vehicles. The Lambretta Li 150 Series II scooter in the images is nearly 59 years old but it still has the charm that it had back in 1960.. 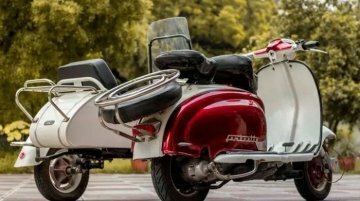 The iconic Lambretta scooters are all set to make a comeback in India. 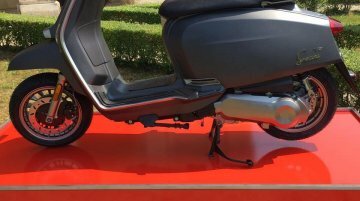 The Italian-Swiss scooter manufacturer has revealed its plans of unveiling the Lambretta Electric prototype at the 15th Auto..
Last year at the EICMA 2017, Lambretta made a comeback by showcasing three scooters after a hiatus of 20 years. The company is now set to launch the Lambretta scooters in the Australian market on 25.. The iconic Lambretta scooters made a comeback at the 2017 EICMA show, in Milan, Italy. Autocar reports that its parent company, Innocenti S.A. is planning to bring the scooter range to India by..
Should the born-again Lambretta scooter come to India? Lambretta officially revealed their comeback product, the Lambretta V Series, on 3 June 2017. 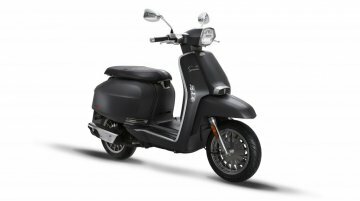 The Italian scooter brand is celebrating its 70th anniversary this year and was resurrected by Innocenti,..